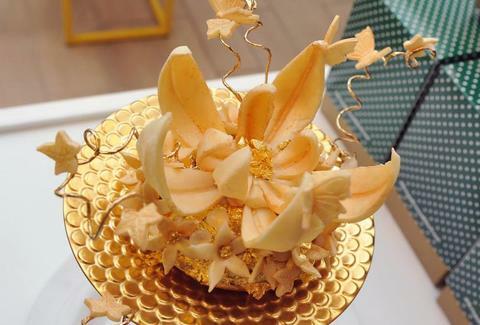 The ritzy things that go into this breakfast pastry include a Dom Perignon vintage 2002 Champagne jelly with raspberry and Chateau d’Yquem creme, edible 24-carat gold leaf, a 23-carat gold-dusted Belgian white chocolate lotus flower, and edible diamonds. But it also rested on top of a Krispy Kreme cocktail mixed with a 500-year-old Courvoisier de L’Esprit Cognac and even more Dom. The treat sounds great for a billionaire's birthday party, but since it doesn't have brownie batter, we'll pass. Kristin Hunt is a food/drink staff writer for Thrillist, and has personally never felt the urge to eat jewels. Follow her to $5 meals at @kristin_hunt.